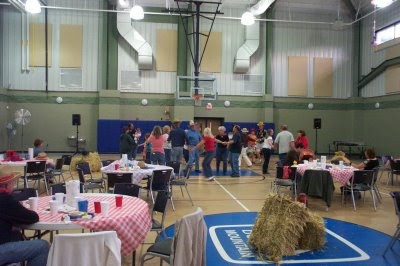 The Barn Dance held at the Buckeye Recreation Center was a fun event for all 50 people who attended the event, as well as the volunteers helping Peggy and Mike from the Beech Mountain Chamber of Commerce, which sponsored the event. 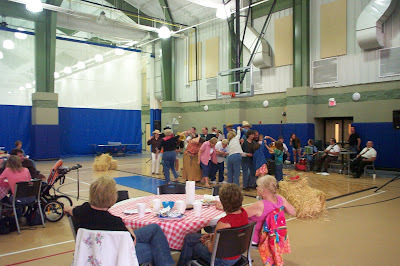 The band provided dancing music and accompaniment for Roy Krege, who called square dances, the Chicken Dance and the Hokey Pokey. 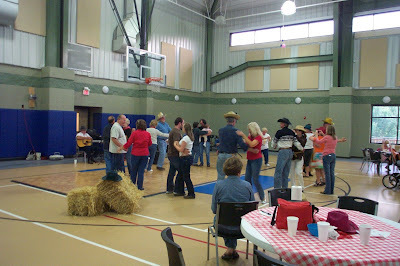 Bill Hess and his group instructed the line dancing. Many thanks to everyone who made this event possible. And a special thank you to Mike for providing the pictures. Next event: The Mile High Kite Festival on September 3rd across from Town Hall in the field next to the Brick Oven. Hope to see everyone out enjoying these cool breezes.